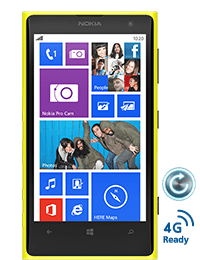 O2 have not only given a massive party at the launch of Nokia Lumia’s 1020, they have also managed to bag exclusive rights to selling the 64GB version of the Lumia 1020. The phone will be available in Black and Yellow, and it is ready to make the most of 4G from O2. Alongwith the phone, O2 have bundled in the wireless charger and case combo for the phone, as well as the camera grip. To top off what Three have already offered, they also throw in a tripod. Depending on the package you choose, the phone can cost you any where between no charge, to £639!